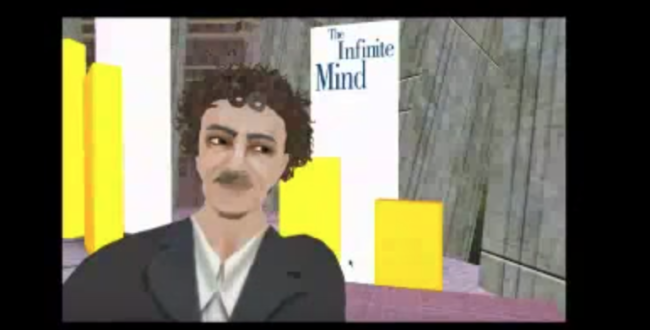 In 2006, Kurt Vonnegut featured on Second Life’s Infinite Mind Series. The interview was sparked by the writer’s God Bless You, Dr. Kevorkian. The premise of the collection is that Vonnegut employs Dr. Jack Kevorkian to give him near-death experiences, allowing Vonnegut access to heaven and those in it for a limited time. While in the afterlife Vonnegut interviews a range of people including Adolf Hitler, William Shakespeare, Isaac Asimov, and the ever-present Kilgore Trout (a fictional character created by Vonnegut in his earlier works).